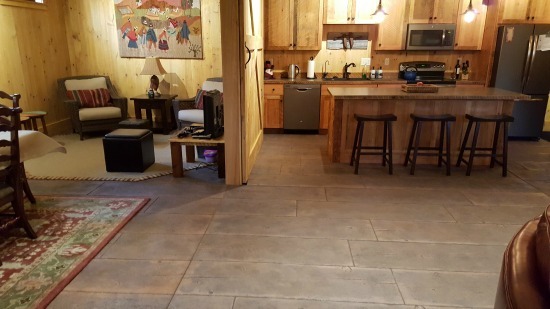 This is a stamped concrete floor we installed for a customer in Manchester, Me. 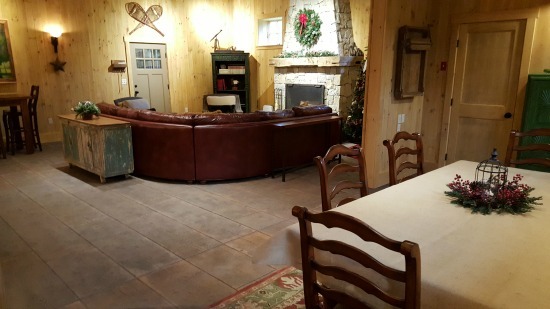 As you can see, we used out 16" barn board pattern to make the concrete look like wood. This concrete stamp has some really good grain and knot texture to it. It really does look like wood when you're standing on it. Same floor just different lighting. This was new construction, the concrete floor was poured 4" thick. The building was 40' x 30'. 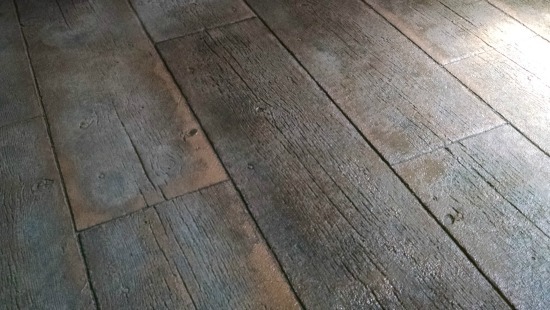 This 16" barn board pattern is a great alternative to real wood. We also have 12" and 6" board patterns. Between pouring and stamping the concrete, cleaning it then sealing, this floor took us 4 days to complete. The colors used were Sienna brown integral color to make the concrete brown and deep charcoal release to give it that secondary, antiquing look. 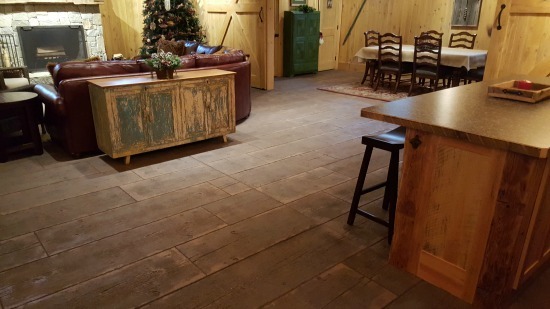 Check out our other stamped concrete patterns we have available. If you have any questions or would like an estimate you can request a quote or give me a call.